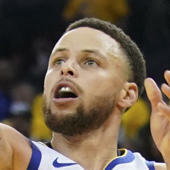 The Golden State Warriors clinched the top spot in the Western Conference with a blowout win over the Los Angeles Clippers in their regular-season home finale. The clubs meet again on Saturday night at 8 p.m. ET in Game 1 of their first-round series in the 2019 NBA playoffs. Few basketball observers were surprised when the two-time defending champions earned the No. 1 seed in the 2019 NBA playoff bracket, but their opponent is another story. Los Angeles unexpectedly transformed from a team that was building for next season into an contender in the NBA playoffs 2019 with a blistering run down the stretch despite a makeshift roster. Golden State won three of the four regular-season meetings, but the Clippers were without several key players in the final two. Golden State is a 13-point favorite and the over-under for total points scored is 234 in the latest Warriors vs. Clippers odds, up from an open of 230.5. Before you make any Warriors vs. Clippers picks, listen to what the SportsLine Projection Model has to say. Now, the model has dialed in on Warriors vs. Clippers from every angle. We can tell you it's leaning under, it's also generated an against the spread pick you can bank on in over 50 percent of simulations. That one is only available at SportsLine. The model knows the Warriors will be motivated to make a statement with a strong playoff debut in front of their boisterous supporters in Oakland. Golden State dealt with injury issues during the regular season, but also seemed consistently plagued by a bout of apathy against inferior opposition. However, Golden State responded when it mattered most. The Warriors restored their dominant form for important games and consistently beat other upper-echelon clubs. They were also clutch down the stretch while the top seed in the Western Conference remained up for grabs, winning eight of the final 10 to out-duel the Nuggets. The win that clinched the 1-seed was a 131-104 thumping of the Clippers in the last regular-season NBA game at Oracle Arena. Steph Curry led seven Golden State players in double-figures as the Warriors dominated in their regular-season home finale. Draymond Green had 10 points, 10 rebounds and nine assists. Even so, there's no guarantee Golden State will cover the Warriors vs. Clippers spread against an L.A. club that has quietly emerged as one of the NBA's biggest overachievers. Although the Clippers won just one of the four regular-season matchups, that game will long be remembered for the impact it had on the Warriors. Los Angeles squandered a 14-point lead in the fourth quarter before recovering for a 121-116 overtime win. It was the Clippers' first home win over Golden State in four years. But Golden State's botched late-game sequence led to the now-infamous public squabble between Green and Kevin Durant. Their friction prompted nonstop speculation regarding the future of Durant, who will become a free agent this summer. It also sent the Warriors into a bit of a tailspin, as they went on to lose four of their next five games. Who wins Warriors vs. Clippers? And which side of the spread hits in over 50 percent of simulations? Visit SportsLine now to find out which side of the Clippers vs. Warriors spread you should be all over Saturday, all from the model that's up more than $4,000 on NBA picks this season.